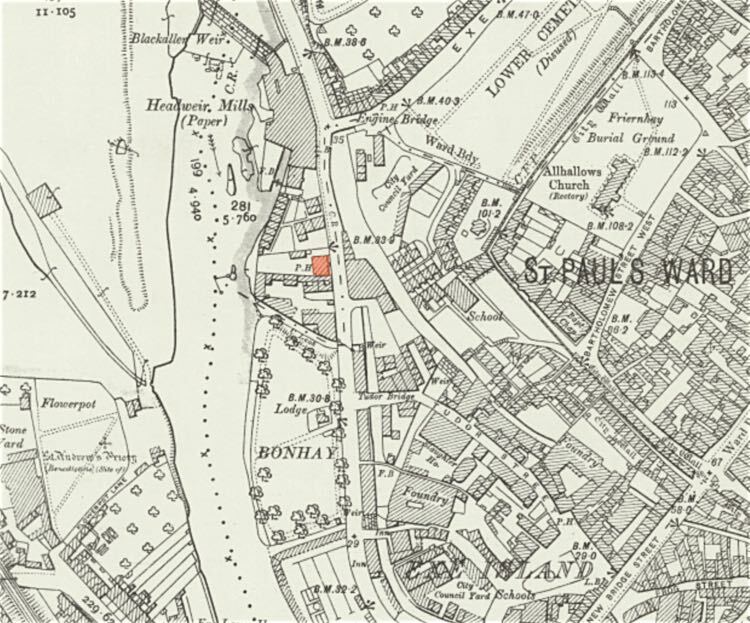 In 1863, Bonhay Road was opened as far as St David’s Station. Now a through road, traffic increased from the junction with Bridge Street, and the cattle market, to the station. It was inevitable that someone would open a beer house, with accommodation, in the road, to catch passing trade to and from the cattle market. In September 1863, Daniel Hooper applied for a spirit license for the Princess Alexandra beer shop. The application was opposed by the local church wardens, and despite the provision of accommodation for travellers, horses and carts, passing along Bonhay Road, it was turned down. Despite the refusal, the house was still able to serve beer and cider, along with providing accommodation. The spirit license was eventually granted in September 1864. The inn was named after Princess Alexandra of Denmark who married the Prince of Wales in 1863. Powhays Mill was just opposite, so the house was the obvious choice for a celebratory dinner in April 1872, for the so called ‘short time movement.’ Millers in the city had been lobbying the mill owners to reduce their hours by an hour and a half. The master millers had granted the shorter week, hence the dinner at the Princess Alexandra. Landlord Mitchelmore’s house was used for many inquests; a case in February 1872 was the death of a 2½ year boy named William Dymond who was burnt to death in his cot. He was being cared for by a nurse, while his mother was working for a butcher. The child had knocked a candle over and set light to his night dress. A verdict of accidental death was given. There were several other inquest at the Princess Alexandra into the death of children, but the finding of the body of Reginald Hyde in 1879 would lead to the most infamous case of all. On Saturday 17 May 1879, the torso of a six month old boy was found in the leat grate at Edmund Brown's Powhay Flour Mills by Edward Stokes, a miller. 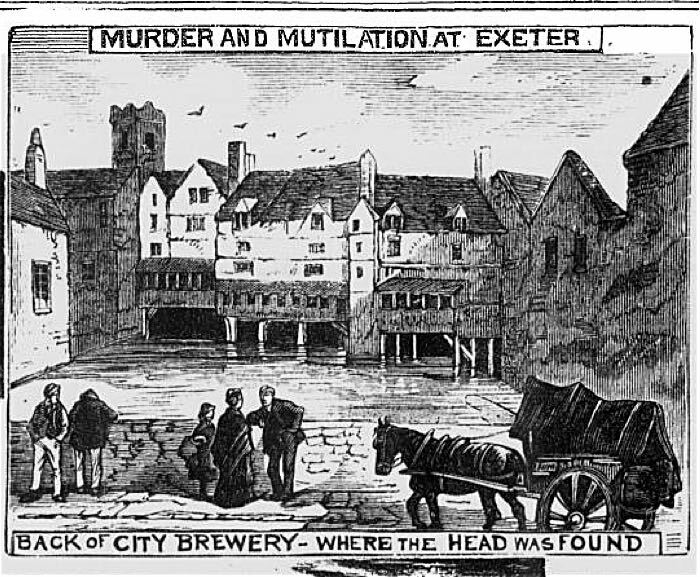 The child's head, was later found further down the leat at Horse Pool, while a hand and leg were found near the Round Tree Inn, at the rear of the City Brewery. Other parts were found in the leat at the Shakespeare Inn by a young boy. All the body parts were taken to the Princess Alexandra Inn, where the surgeon was called and the parts reassembled (sewn back together). The coroner Mr H W Hooper held the inquest at the Princess Alexandra on the afternoon of the discovery. The surgeon gave evidence that the child was about six months old and well nourished. It was found that the arms and legs had been neatly cut below the elbows and knees, perhaps with a small saw. Because of the complexities of the case, the inquest was adjourned for a week. Mary Hoskins was acquitted; there is some speculation that she was forced to give the baby to Tooke, a so called ‘baby farmer’, by her family because the father was her brother. The trial continued, and evidence was found in a box at Tooke's lodgings of a hammer, a petticoat and other items covered with traces of blood. There was now sufficient evidence to send the case to the assizes for trial. The trial ran for two days from 21 July. The jury deliberated for an hour and ten minutes to return with a guilty verdict, and the judge sentenced Tooke to death. Tooke was asked if she had anything to say and replied “I wish to say that Capt. 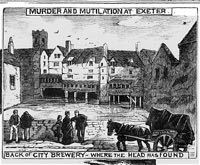 Bent (Exeter’s police chief) has sworn false against me.” She then said “I wish to thank my able counsel for what has been done for me.” Tooke was taken to the County Gaol, and was executed on 11 August 1879. Before her death she signed a confession for the murder. “I hereby acknowledge that the confession which I first made to Capt. Bent is true in the main particular, and that I am justly to suffer for my dreadful crime for which—as for all my many sins—I do most truly repent, and humbly pray God’s mercy for the sake of His dear Son my only Lord and Saviour Jesus Christ. Signed by me, ANNIE TOOKE, this day of August 1879. Witness S. A. Hugos, Matron. By 1884 the inn was run by Mr Taylor, when he had his license renewed. He died in 1890 and the license passed to his wife. In 1907, Fred Parsons, the five year old son of the landlord, was tossed into the air by an escaped bullock. The boy was treated for his injuries. In June 1920, a char-a-banc outing from the Princess Alexandra to Plymouth, ended in disaster on Dunsford Hill. A party of thirty were on board, when the brakes failed, on a hill, and the machine ran into a telegraph pole. Ben Shaw was thrown out and killed, while seventeen others were taken to hospital by St John’s Ambulance. 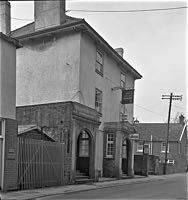 One of the injured, William Coombe, 77 years old, licensee of the Princess Alexandra Inn, died two months later due to his injuries. A third person also died in the crash. The Princess Alexandra Inn was taken over by Austin Outside Caterers when they moved from their Bartholomew Street base in 1969. The move gave them a license to sell alcohol which they could use for outside catering events. 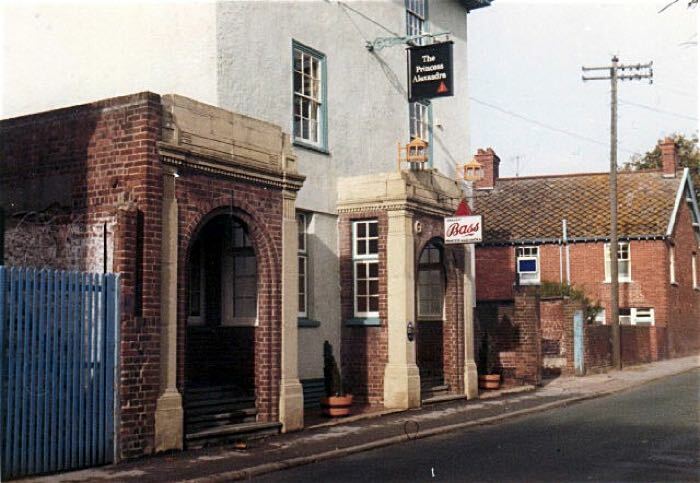 It was closed by the brewery in May 1982 before re-opening as the Lazy Landlord. In 2000 the Lazy Landlord was finally closed, and in 2002 demolished and replaced with apartments. Sources: The British Newspaper Archive (Western Times, Exeter and Plymouth Gazette and Flying Post). Richard Holladay. Colour photo taken in the 1970s. Photo courtesy Richard Holladay. 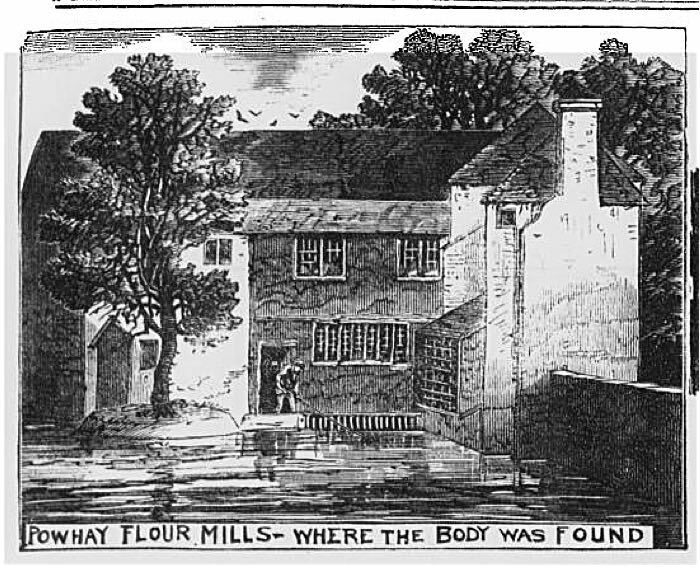 Powhays Mill from the Illustrated Police News. Horsepool where the head was found. From the Illustrated Police News.